TissueFAXS Confocal PLUS SL combines TG´s versatile Spinning Disc Confocal Kit with TissueFAXS SL autoloader capabilities and with TissueQuest/HistoQuest or StrataQuest image analysis software. TF CONFOCAL PLUS SL is also available in a Scan Only configuration. TissueFAXS Confocal PLUS SL provides the benefits of both high slide throughput and laser free fast confocal imaging. 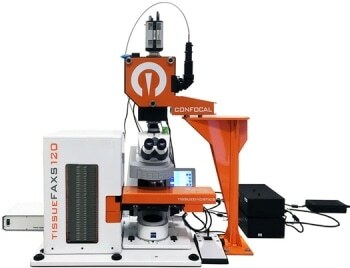 TissueFAXS Confocal PLUS systems also provide all other scanning modes (.i.e. brightfield and epifluorescence) of a non-confocal TissueFAXS system. 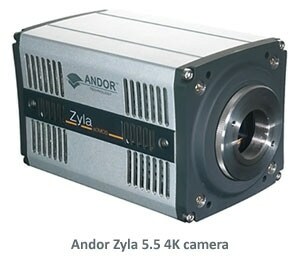 Thestandard camera used on the TF Conofcal is the Andor Zyla 5.5. 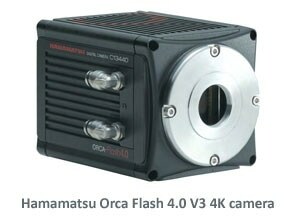 As a more performant alternative (speed, quality) the Hamamamatsu Orca Flash can be used. 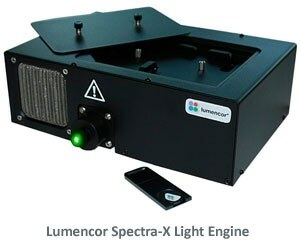 Spectra X light engine is used for high power fluorescence illumination. 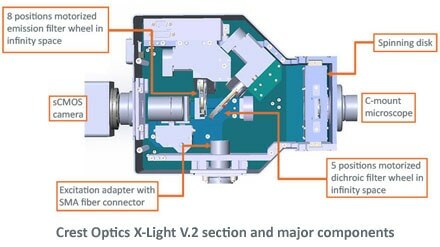 This illumination system combines very high output, necessary for confocality, with very short switching times (<10 ns rise and fall times between bands). 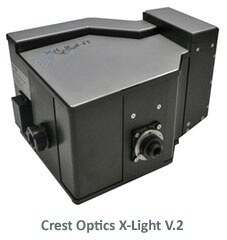 The Spectra X uses seven wide band solid state light sources with a fixed configuration, covering most of the spectrum. The user can change the emission filter paddles for the emission bandwidth needed. SPECTRA is TissueGnostics multiplex imaging technology. It combines the spectral unmixing engine of StrataQuest analysis software with special scanning modes in the TissueFAXS software. 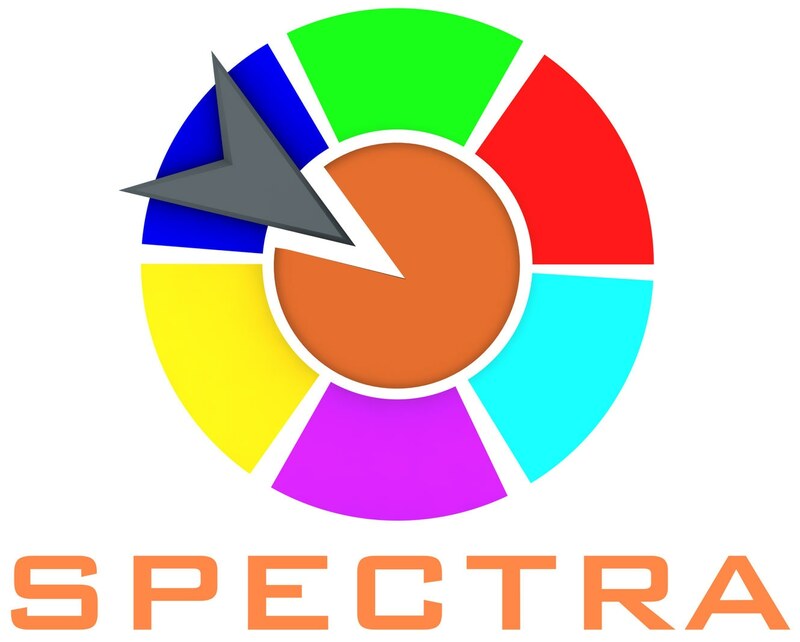 The filter wheel plays a central role in SPECTRA as it provides the images for offset calculations for spectral unmixing. 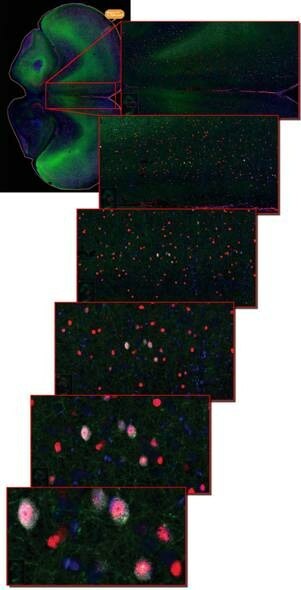 By using adapted filter cubes and the deconvolution capabilities of the StrataQuest software, the spectral unmixing of 6 to 7 markers in immunohistochemical and immunofluorescent staining is possible. 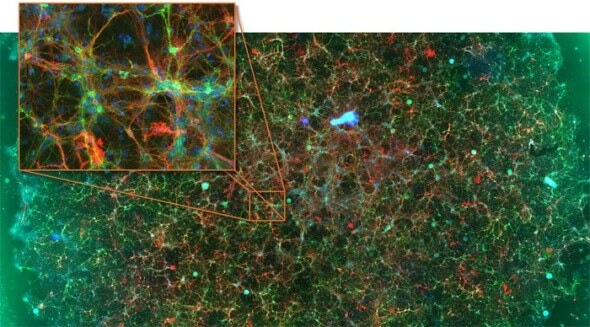 This technology perfectly matches a current trend to look at multiple markers in parallel in order to better understand interactions among and between different cell types and cellular subpopulations. All epifluorescence TissueFAXS systems (upright and inverse) can be upgraded to TissueFAXS Confocal configuration.